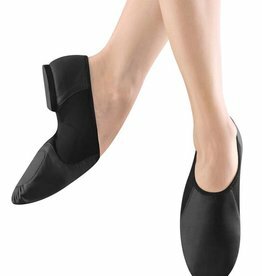 Stretch canvas split sole ballet slipper by So Danca. The stretch canvas contours to the arch and toes perfectly. 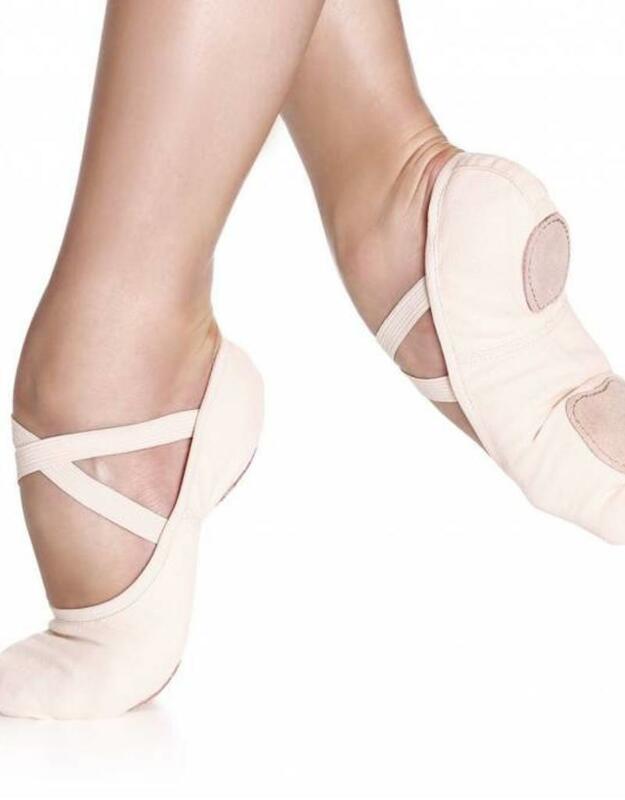 This fully elasticized ballet slipper is drawstring free, eliminating the headache and awkwardness associated with a traditional drawstring slipper. 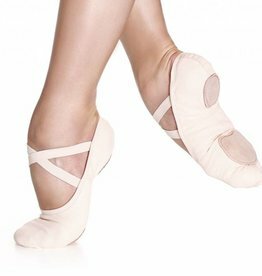 Available in three widths to accommodate all foot shapes.